We’ve been having a particularly chilly winter here in the Pacific Northwest, and all we can seem to talk about is bundling up for winter. At the beginning of this season, we shared our tutorial for making a ribbed knit scarf. 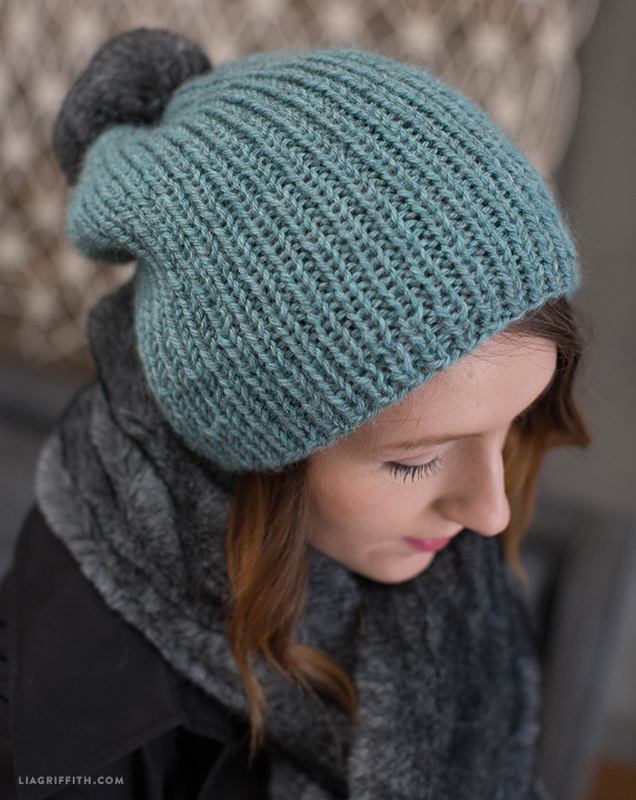 Now we are following up that project with a DIY knit hat to match your scarf. The ultimate pairing to get you through the colder months! This project is great for beginning knitters because it only uses one skein of yarn, while the scarf uses three.